SAN JOSE, Calif., (July 18, 2012) NAMCO BANDAI Games America Inc. today announced that Dragon Ball Z For Kinect™ will feature a double dose of exclusive content for Dragon Ball Z fans! 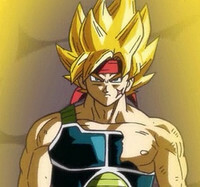 The game will include the Dragon Ball Z anime episode “Episode of Bardock” and will feature Bardock Super Saiyan as a playable character for the first time ever in the history of Dragon Ball Z video games. Coming exclusively to Xbox 360® on October 9 in North America, Dragon Ball Z For Kinect features all the classic action and intensity of theDragon Ball Z universe but with the unprecedented sense of immersion that only Kinect can deliver. Players will be able to unleash over 100 moves upon their enemies, including the legendary Kamehameha, with their very own fists as they battle their way to victory in this ultimate evolution of the unstoppable franchise. Developed by Spike Chunsoft Co. Ltd, Dragon Ball Z For Kinect is loaded with epic battles, famous attacks, and over 50 iconic characters authentically recreated from the original manga series. Dragon Ball Z For Kinect™ lets players unleash the full might of their inner Super Saiyan with no controller in the way. (c) Bird Studio/Shueisha, Toei Animation. License coordinated by FUNimation(r) Productions, Ltd. All Rights Reserved.